Queens Botanical Garden (QBG) is an urban oasis where people, plants, and cultures are celebrated through inspiring gardens, innovative educational programs, and real-world applications of environmental stewardship. QBG is located on property owned by the City of New York, and its operation is made possible in part by public funds provided through the New York City Department of Cultural Affairs, Queens Borough President, the New York City Council, State elected officials, the New York State Department of Parks, Recreation and Historic Preservation, along with corporate, foundation, and individual supporters. 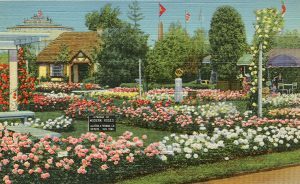 Located at the northeast corner of Flushing Meadows-Corona Park in Flushing, QBG evolved from the five-acre “Gardens on Parade” exhibit showcased at the 1939-1940 New York World’s Fair. 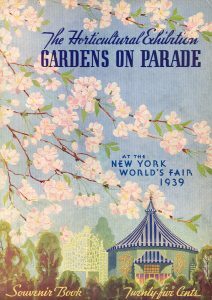 Officially opening as “The Queens Botanical Garden Society” in 1946 after local residents saved and expanded the original exhibit, the Garden remained at the original World’s Fair site until 1961, when it was moved to its current location on Main Street in Flushing. 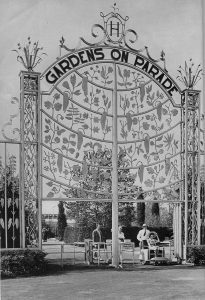 Among the original plantings taken from the 1939 site are two blue atlas cedars that frame the iconic tree gate sculpture at the Garden’s Main Street entrance today. QBG has become a 39-acre oasis in one of New York City’s most bustling and diverse neighborhoods. Receive the latest news and updates from the Garden! Live in the present and make it so beautiful that it will be worth remembering! Your gift makes it possible for us to be the place where people, plants, and cultures meet.